Games, performances, interactive experiments, and the great outdoors combine for a full-day science extravaganza at the seventh annual World Science Festival Street Fair. Installations and activities from more than 50 organizations will focus on our three themes: space, weather, and robots. There’s so much to explore: cutting-edge science experiments on the International Space Station, Mars rovers, extreme weather simulations, and robots that might someday live in your house, to name a few! We’ll also have science celebrities on hand, so you can learn from the pros – and snag a photo. Aspiring scientists of all ages can find entertainment both inside the buildings and outside at performances and demonstrations. Start planning your day by looking through our list of activities – and check back often to see what we’ve added! Register for the World Science Festival’s free outdoor events to receive early notification of special events, learn where you can have your photo taken with astronauts, and be the first to see the schedule of stage performances. Each week, the World Science Festival will randomly select one registrant to receive a science gift packet. Visit the International Space Station: Experience the next best thing to being on the ISS with the help of NASA’s Johnson Space Center. Step into the newly renovated NASA Mobile Exhibit for liftoff to the orbiting home and learn about research in microgravity from a team of NASA scientists. Create Microgravity on Earth with the NASA Glenn Research Center: Step up to the miniature drop tower and test the effects of reduced gravity on physical and chemical phenomena. You’ll be amazed by things that are normally hidden by Earth’s gravity—from plants and water to cells and fire. Search for Exoplanets: Scientists at NASA’s Jet Propulsion Laboratory are looking for planets that are often hidden by the bright lights of the stars they orbit. Hundreds of planets have already been found. Visit The Hidden Light, an installation that helps you see what is invisible to the naked eye. Then head to the StarShade Petal, a real technology being designed to block interfering light and help photograph other planets. Study Humans In Space: Meet the NASA Johnson Space Center team that studies humans in space. How does microgravity affect everything from bones and blood to muscle and memory? Let the team tell you how they figure it all out. Control Next-Generation Satellites: Take command of SPHERES (Synchronized Position Hold Engage and Reorient Experimental Satellites) just like those currently aboard the International Space Station. MIT’s Alvar Saenz-Otero, of Zero Robotics, will teach you about this next generation of autonomous, interactive robot satellites. Command the Rovers: Robots take over Washington Square Park at your control. Meet the New York Hall of Science’s Mars-style rover robot, created by Robert Beatty and his daughters. Check out the suspension system, solar panels, infrared camera, thermal array sensor, and eight sonar sensors. Interact with a scale version of the real Curiosity rover currently on Mars,and meet Jupiter Joe’s Rovers. Blast Off with Aerospace Simulators: Ride in one of the many full-scale and fully functional space simulators, including the Orion CRV Flight Simulator, BD-5J Micro Jet, and a hovercraft. See what a space toilet looks like, inspect the Pluto Probe, and try on a pair of anti-gravity boots. Brought to you by the Traveling Space Museum. Work in a Space Laboratory: Step into the Odyssey IV Mobile SpaceLab Module, a mock-up of the International Space Station. You’ll learn to live and work in space in this simulation with interactive workstations. Build Air Cannons: Make an air cannon with Carmelo the Science Fellow to learn more about wind and gravity. Launch Your Own Balloon Rocket Racer: Transform recycled materials into a rocket ship and use air propulsion power to race down a fishing line. Then try your hand at building and launching space gliders with Scrapkins. 3D Space Printer: Astronauts run out of tools on the International Space Station and must wait until the next resupply mission to restock. With the aid of 3D printing technology, immediate re-stock is just around the corner. Come see the first 3D printer that will head to space. Get Caught in a Hurricane: Step into the hurricane simulator and experience winds up to 78 mph. Suitable for storm chasers of all ages. Control Your Own Tornado: Prepare to be blown away by a vortex of swirling vapor as you control the speed of four-foot tall tornadoes. Explore the Arctic of the Future with the PoLAR Climate Project: Play games to learn how animals (from plankton all the way to polar bears) are impacted by humans. Then go through interactive displays with Lamont–Doherty Earth Observatory to learn how climate and weather impact sea ice loss and change the sea level. Don’t miss the Polar Explorer app! Investigate the New York Hall of Science: Watch dueling pressure systems create spinning clouds of air when we fire our Air Cannon. Use your cell phone to make small images appear large using forced perspective photography at Stick Pics. You can make images with your favorite astronomers, astrophysicists, astronauts, and spaceships. Finally, make your hair stand on end as lighting forms before your very eyes at the Van de Graaf Generator. Battle Earthquakes with Engineering: Join Mueser Rutledge Consulting Engineers to make your own earthquake-proof structures. How will your building stand up to the seismic waves? Ride the Coriolis and Forecast Weather: Join CUNY’s NOAA-CRESTto take a spin aboard the Coriolis ride, showing how hurricanes form and gain massive amounts of power. Then use real mathematical equations to predict tomorrow’s weather. Discover Fossils and Facts at the Liberty Science Center: Excavate for fossils (including shark teeth and small bones) that you can take home with you, and learn how weather affects fossil formation. Compare natural disasters and weather conditions on home at Earth to those on other planets. Monkey Around at the Central Park Zoo: Discover how weather affects the animal kingdom, wildlife conservation and our own lives. Join the Central Park Zoo for performances and activities that help explain how we can make our world more livable for ourselves and other unique creatures. Crustacean Exploration: Hop onto a solar-powered, state-of-the-art mobile microscope lab that was once a 1974 transit bus. There, use high-powered microscopes to examine the cells and organs of tiny transparent crustaceans called daphnia. These strange creatures have reproductive systems that change with the weather. Laboratory: Pop Bottle Science: Join author Lynn Brunelle to create different kinds of weather and tracking equipment, from barometers and thermometers to rain and tornadoes. You’ll build up the atmospheric pressure of a storm in a crushable bottle. ROBOT SENSE CENTRAL: How Do Robots Sense? Vision: The first step to understanding how robots sense the world is by learning how they see. Unlike humans, they don’t have peripheral vision – meaning they see only what is directly in front of them. Move an object in front of a digital camera and watch how objects are tracked on a screen. Try sharing a toy with iCub a robot that mimics a human two-year-old, and see how iCub sees. Hearing: Robot ears take in sounds and turn them into a language that robots can understand. Speak into a microphone and watch a computer translate your voice into waveforms. It will try to repeat what you said back to you. Depth Perception: Our eyes and brain quickly calculate depth perception for us. Learn how robots tackle this crucial task by stepping up to a Microsoft Kinect and getting a strange 3D view of the world and yourself. Then have your photo taken and emailed to you. Touch: Close your eyes and put your hand in a box – then try to decipher what you’re grabbing. Or see if you can find the object you are searching for without using your eyes. Robots have it tough! Get another sense of how a child robot would interact with the world bytickling iCub, the robot who mimics a human two-year-old. He’s covered in touch sensors and gets ticklish when you poke him. Eventually, he’ll even learn to dodge your fingers! INSIDE THE ROBOT BRAIN: How do robots Sense, Decide, and Act? Tame the Robot: Teach a robot how to behave by playing Tetris on a computer. In this game of robot Tetris, you decide if a robot’s action should be rewarded or not, and it learns to behave according to your rules. Train the Robot: Use DragonBot and a programming tool kit to train a robot to respond to your signal, just like a pet dog. You’ll teach your robot to smile whenever you clap – get ready to give yourself a round of applause. Shepherd the Robots: Robots sometimes behave based on what other nearby robots are doing. Walk in front of a projection screen and watch as simulated robots follow you around like a flock of sheep. Robot Swarm: How does a swarm of 10 robots work? How about 10,000 birds? Or 10,000,000 ants? Join MoMath for hands-on Swarm Math activities where the audience members get to be part of a collective. Control Robots with Your Mind: Use electricity from your brain to control robots and find out whether your brain is anything like a computer. Play Soccer Like a Robot: Learn what it’s like for a robot to play soccer. Hint: it’s not so easy. Build robot goggles out of paper tubes, then cover one eye and try to follow instructions to play (and win) the game. ROBOTS IN MOTION: How do robots move? Bend It Like a Robot: Teach a small humanoid NAO robot how to kick a ball by moving its legs and registering the movement on a computer – just like in stop-motion animation! Robot Obstacle Course: Drive a KUKA youBot, a robot arm on wheels, through an obstacle course. Then try it again using only robot vision, and see how different your times are. Drive a Planetary Rover: Drive Oryx, the planetary rover, and help it collect rock specimens on an otherworldly surface. Drive the Turtlebots: Pick up the controls and, without ever leaving the World Science Festival, drive a telepresence robot at the Worcester Polytechnic Institute. Your task? To figure out Worcester Polytechnic’s motto. Robot Fish Race: Build the fins of a robotic fish and race them against other robo-swimmers. Winner gets a prize! Robot Control: Feel like Dr. Doolittle as you use a touchscreen device to control a robotic fish. Or relax and watch it swim on its own while you enjoy a birds-eye view of the tank provided on the display. Fly a Drone, Drive a BEAM: Test fly a drone and operate the Beam telepresence robot, which lets you be in two places at once. Robot Free Throw: Make your robot the star of the team as you toss beach balls into a goal to earn points. Junior FIRST’s Lego League Challenge: Operate the winning Lego creation made by children ages 6 to 9 and meet these young inventors. 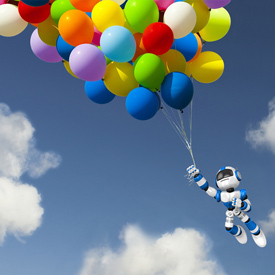 ROBOT PARTY: How do robots socialize and interact with humans? Museum of Keepons: As you approach a row of small, yellow, snowman-like Keepon robots, try to capture their gaze. Then watch as Keepon follows you. Bully Stoppers: Keepon will tell you a story about a bully and let you decide how to handle the situation. Then he’ll give you feedback on your choice. Language Game: Meet a Spanish-speaking Keepon robot who can help you learn more about language. Rock, Paper, Scissors: Play this classic game against an NAO humanoid robot, but watch carefully. He may try to trick you! Nutrition Game: DragonBot is preparing for a long journey, and he needs your help to pick out snacks to fuel his trip. Help DragonBot choose the healthiest meal and see what happens if you try to sneak a donut in. 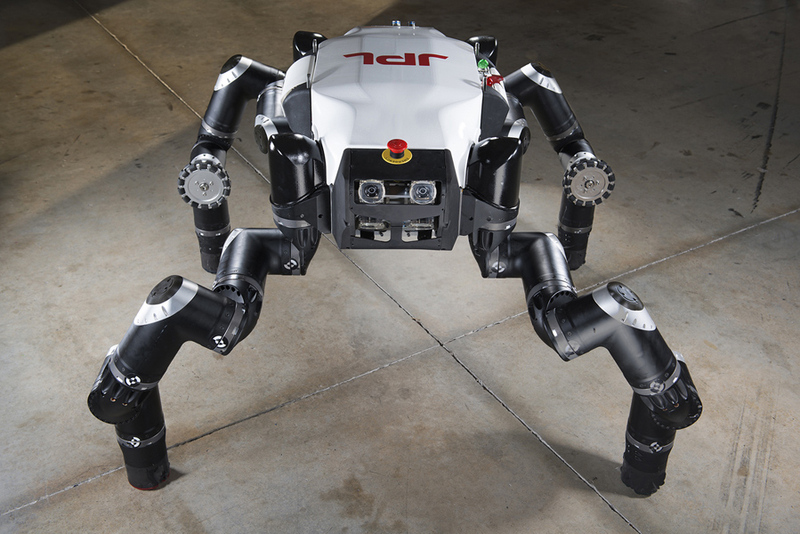 One-on-One with Bandit: Bandit the robot wants to play a game with you. Choose between three options using a Wiimote: an exercise game, memory game, or a cognitive game. Befriend a Robot: DragonBot wants to be popular, and you can help it by stopping in for a chat. The more attention it receives, the more it is rewarded.